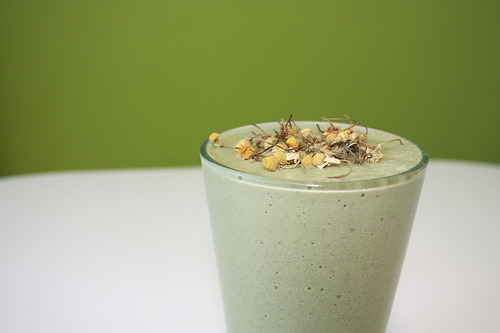 I discovered the following Banana Calm Chamomile Smoothie recipe via the Vega team. (Sadly, it appears I mistakenly deleted the picture of my own rendition, so I cannot take credit for the lovely Vega photo above). Chamomile is known for its natural calming and nutritional properties, and is classified as an anti-inflammatory, anti-spasmodic, and anti-bacterial herb. 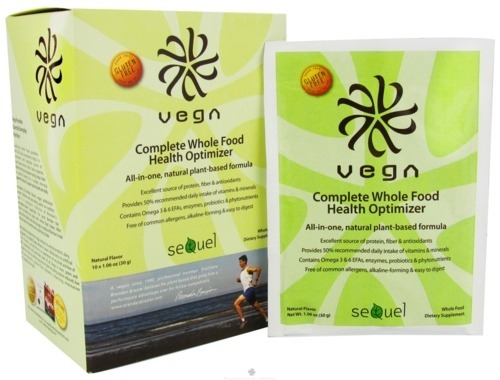 The recipe also calls for a Vega supplement powder, called the Complete Whole Food Health Optimizer (available at WF). Described as a “synergistic collection of plant-based superfoods,” the supplement is filled with protein, fiber, omega 3s, vitamins, and probiotics. All together the smoothie has a refreshing, earthy-like texture that was delicious as it was soothing! Blend together, and then strain if desired for a smoother texture. 1. Make the chamomile tea first. After steeping 5-10 minutes, place in the fridge to cool for at least 10 minutes. 2. Combine all the ingredients in a blender, serve, enjoy, and relax!